Cloves are the dried flower buds of evergreen trees that grow in tropical climates. Here is a photo I took recently near Munduk, Bali of clove flowers growing on the slopes of the volcano. After they are harvested, the flowers are sun dried. The majority of cloves are used to produce cigarettes called “Kretek.” But the highest quality harvests are reserved for export to the spice market. What Are the Medicinal Properties of Cloves? Whole cloves have a number of powerful medicinal properties that have been known for hundreds of years, thanks in large part to their continual use in Aruvedic medicine. In tropical climates cloves have been used as a remedy for all of the following conditions: scabies, cholera, malaria and tuberculosis. Here are the main healing properties attributed to whole clove powder and essential oil of clove. Stimulation of the digestive system. Cloves promote the flow of enzymes in the stomach which can help speed digestion, increase metabolism and ease flatulence. Cloves have also been traditionally used to stop vomitting. Use as an effective local anesthetic. Clove and clove oil have long been used in dentistry for pain relief. This is in large part due to high concentrations of Eugenol. Use as an antispasmodic. A poultice made of cloves can reduce muscle pain, spasms and cramps. A tea made with clove is also effective for supressing a cough. 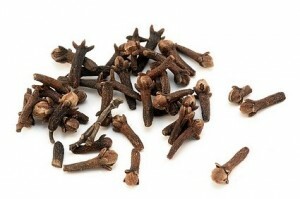 Cloves are antibacterial, antiviral, antifungal and antiseptic. This makes them ideal as a daily immune boosting supplement. Cloves are extremely antiparasitic and can help in the elimination of various intestinal parasites. 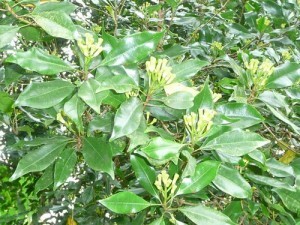 Cloves act as a natural insect repellent. Cholera — In treating the most severe symptoms of cholera, boil about 4 grams of cloves in 3 liters of water until 1/2 the liquid has evaporated. Then drink the remaining liquid. Cough — Chew one or two cloves mixed with a 1/2 teaspoon of honey. Alternatively you can make a tea of cloves by following the recipe above. Earache — Soak a whole clove in sesame or coconut oil for 2-3 hours. Then place the clove in the ear, being very careful not to put it anywhere near the eardrum. Muscle cramps/pain — Grind a handful of cloves into a fine powder using a coffee grinder and mix with 1-2 tablespoons of sesame, olive or coconut oil. Place the poultice over the affected area. Parasites — Grind cloves and take 1 teaspoon daily. For this remedy to be effective you must continue it for up to six months. Toothache — Grind cloves into a powder and mix with a teaspoon of honey and then place on the affected area of the mouth. Upset stomach and/or vomiting — Drink clove tea and/or chew 1-2 cloves carefully. Alternatively, mix 1 teaspoon of clove powder into water and drink. Daily immune boost — I use cloves almost daily by taking one capsule full of clove powder. That’s about 1/2 of a teaspoon. I do take 1 day off every week or so. Whole cloves can be found at most supermarkets. I recommend that you buy them whole and grind them yourself as pre-ground cloves will be less potent due to oxidation. Also, try to find organic cloves whenever possible. As a remedy cloves are relatively inexpensive. You should be able to purchase 100g of cloves for less than $5 US. What about Essential Oil of Clove? Essential oil of clove retains most of the properties of whole cloves and can be easier to use for certain applications such as toothache. If you are considering using clove oil, you need to make sure that it is 100% pure and therapeutic grade. Otherwise you may be using an oil that has been cut with chemicals. Contact us for a good supplier. thank you for sharing for i am a beginner herbalist.